Summer in Paris might make you think of a leisurely walk in one of the city’s beautiful parks or just watching the world go by from a pleasant café. But don’t forget about technology and innovation – France has a dynamic start-up scene and the momentum never stops. Recently I attended Futur en Seine, the largest free open meet-up on innovation in Europe. The event was held in Paris from June 9-19th and brought together French inventors, developers and major players with innovators from around the world. It was total immersion in demos, conferences, workshops and non-stop networking. I read some statistics that 75% of French graduates with MBAs want to create a startup as soon as they finish school. 15% of the 2015 graduates from the number one engineering school in Europe, Polytechnique, spent six months of their curriculum at the Center for Entrepreneurship at University of California in Berkeley, learning how to create a startup. Now they are back in France and building their own tech success story. During Futur en Seine, Axis Innovation held its 4th annual Axis Cap Digital Paris event, a unique forum for French and European startups to pitch their technologies to top-level venture capitalists and industry leaders. I participated as a panelist in a “Fireside Chat” session on how France can grow its startup success and I interviewed Sébastian Burlet, Founder and President of Lemon Way. Lemon Way was founded in 2007 and was a fintech pioneer. Lemon Way is a mobile payment service provider that lets users pay and transfer money with their mobile phones. The company has been called a French version of PayPal but less expensive. I would call it very successful – the company had 4 million in revenues in 2015 (revenues tripled in 1 year)! The payment system is operating 30 countries and is gaining new customers in African countries. Sébastian Burlet shared many interesting lessons learned from his entrepreneurial experience and one tip was for a startup to go international in scope right from the start. Some companies think it’s safer to build market share in their own country or region and then expand. Sébastian initially had greater success with his service in other countries and later Lemon Way made strong gains in France. In general, fintech was a little slower to catch on in France than in other countries and there’s been resistance from the traditional banking sector. Fintech is a special interest of mine; I’m an advisor for WeCashUp, a rising star start-up that is based in Marseille and has its sights on global success. If you’d like more info on the startup landscape in France, please contact me. I work with companies and development agencies on communication-related projects. If for some reason I can’t your question, I’d be happy to put you in contact with the right resource. Here are some tips I’ve learned that can make a project go more smoothly and with less people conflicts or administrative headaches. I use them in my work and you may find them helpful too. Resist the tendency to have a preliminary discussion about a new project and then decide ‘OK, let’s get going’. It seems proactive but in the long run this could be a recipe for disaster. Improper planning can result in a project getting derailed on timing and going over budget. Take the time to really define the messaging and scope of the project then create a briefing that addresses both practical and strategic issues. Who exactly is your target audience for this document? When a person reads the document, what do you want them to do ? Who really needs to know about the project? I’m not suggesting that you cc: everyone in your company or the planet. Just consider who needs to be informed about the project during its various stages. People involved in the early planning phase may not want to be copied on ongoing correspondence. They may be satisfied with periodic updates – find out so you can keep everyone informed but not overwhelmed by details. I recommend that you also pay attention to the subtle but important role of an influencer. Every organization has people who don’t directly make decisions but they are very much in the loop and influence those who do make the decisions. Example: I learned this the hard way earlier in my career. I started on a new project that seemed clear and straightforward. I informed the people who I felt needed to know…but I missed one. This person was an influencer; someone who wanted to be in the know, even if he didn’t have an active role in the project. Just as the project reached the validation stage, the influencer spoke up and began to derail the whole process with new input and objections. As a result, some work had to be revised at the last minute. A colleague told me, ‘if you cc: him early in the process, he’ll be perfectly happy. If you don’t, he’ll feel obligated to create waves later on.’ Lesson learned! My last tip seems obvious, but it’s a common problem. As content goes through revisions, it’s crucial that everyone is working with the most current version of text. Clearly establish rules for how to name and update files. You’ll save time and greatly reduce the potential for mistakes, especially if your files have to be checked by people in different departments. Example: One of my clients outsources the writing and design of a quarterly 40-page corporate magazine. The source language is English and the articles are translated to Dutch, German, Spanish and Italian. Accuracy is crucial throughout the writing, revision, translation and validation process, which includes review by the legal department. Edits and last-minute changes are not unusual, so some files are updated continuously. It’s a big project, so I depend on some colleagues in my dream team. Fabien (translation expert with an incredible patience level) and Zorica (charming but strict project manager and content maven) taught me the value of proper file names. Here’s their formula, of course you can create your own criteria for the title. Just be consistent! A good file naming system and version control is useful when you are working with cross-cultural teams where there is no common language except English. I often work with designers who are not fluent in English. They are experts in design but don’t read the text as they’re putting it into the layout. I make sure that they have the right text to work with; this prevents proofreading nightmares later on. Thanks for taking the time to visit my site, I hope these tips were useful! Please contact me if you need consulting, copywriting or translation assistance with your next project. I like the cheerful uplifting words and music in Pharrell Williams’ hit song “Happy” and his video is fun to watch. The song quickly went to the top of the music charts and became one of the best-selling singles of all times. What made this song such a success? It represents effective viral marketing, for sure. But I think there’s an equally important success factor – the song resonates with people because it feels real and speaks from the heart. When “Happy” first launched, the song was initially slow to get airplay. Then the music video released on youtube and the rest was history…the song developed a life and momentum of its own. In a short interview on the Oprah show, Williams acknowledged the impact his song has on peoples’ lives and briefly breaks into tears. I think this same magic can happen when we believe in a dream, turn it into a plan, and then work to make it happen. 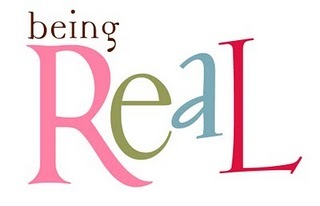 Be real and see what happens!